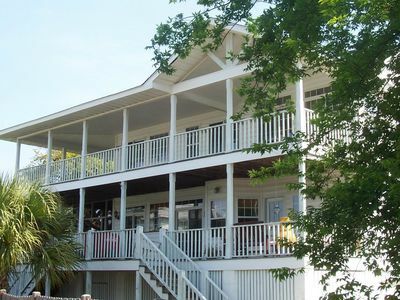 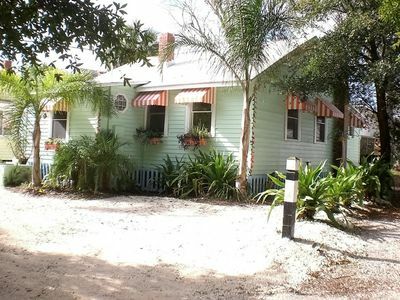 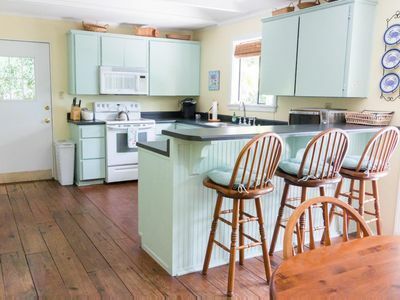 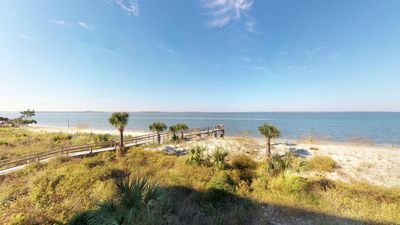 This wonderful single family home is located just one house back from Tybee's Back River beach and has nice views of Little Tybee Island and beautiful sunsets. 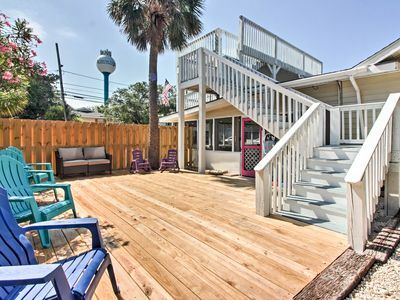 Mere steps away from sandy toes and water. 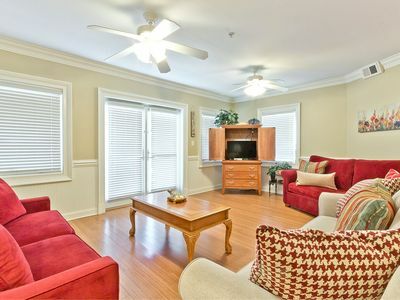 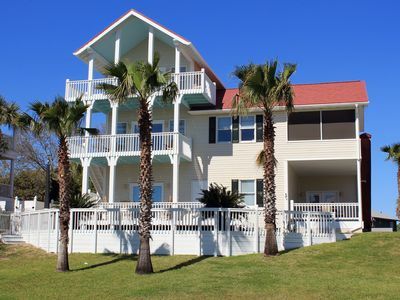 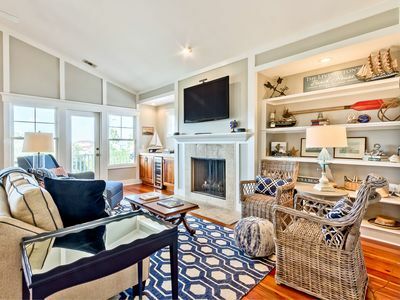 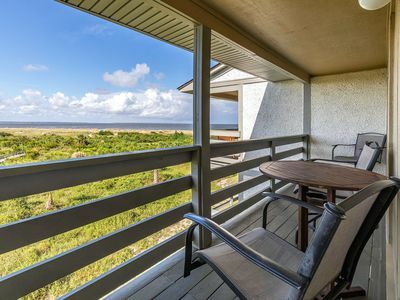 Or relax and enjoy the sea breezes from the spacious wrap around porches. 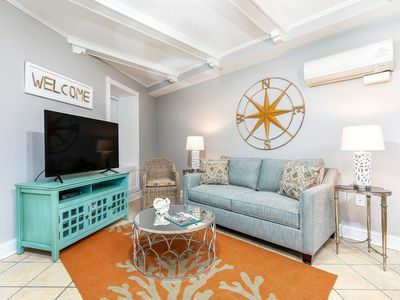 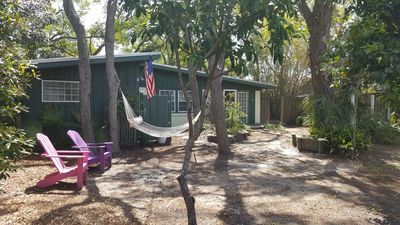 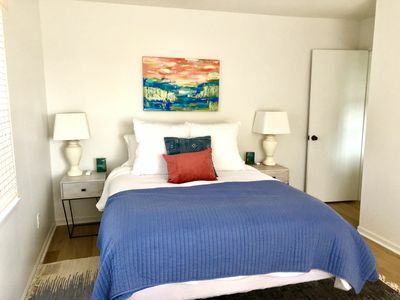 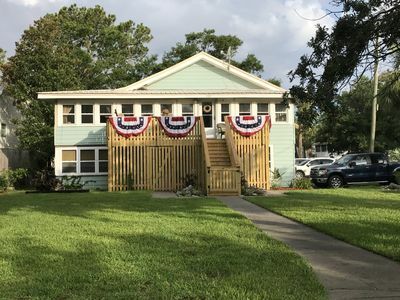 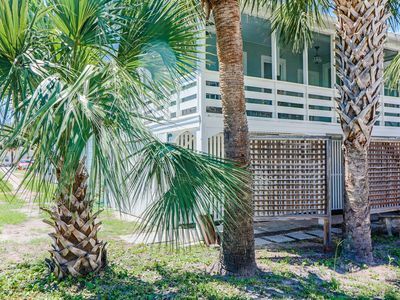 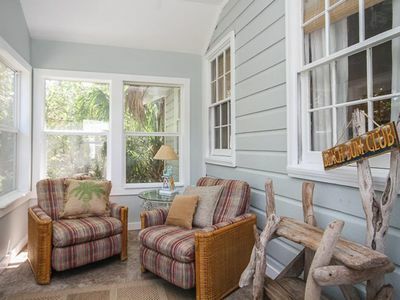 The quiet residential neighborhood is tucked away from crowds, but is only a short stroll to the larger oceanfront beach, restaurants, shops, and the parade route (St. Patrick's Day, Christmas, Beach Bum, Pirate Fest...!). 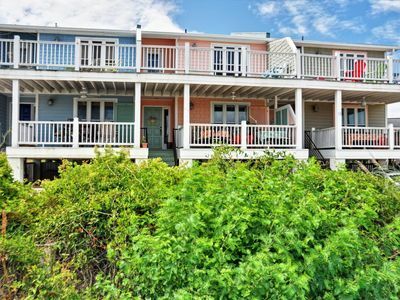 The house is very bright and open with cheerful colors, lots of windows, and nice views of the water. 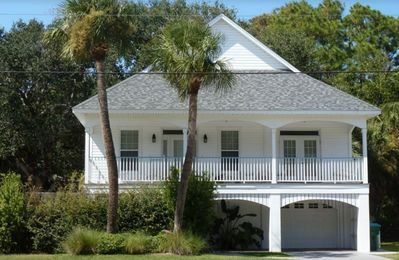 Glass doors in just about every room lead to 10' deep porches. 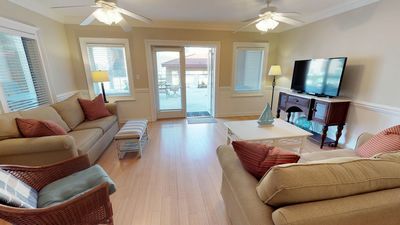 The wrap around porches host a hammock, dining table, and sitting areas. 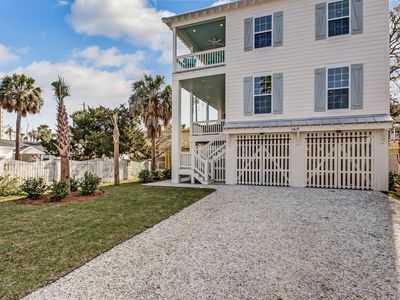 The outdoor shower has hot & cold water and is conveniently located near the gate to the beach. 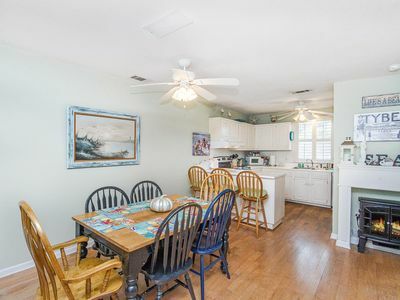 It is the perfect place for entertaining family and friends!